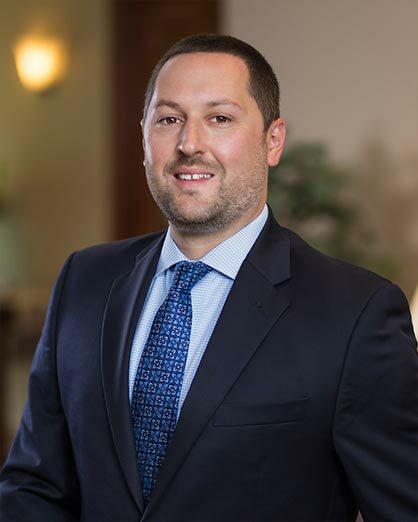 Justin T. Papciak concentrates his practice in the Litigation and Corporate and Business Representation practice groups. In the area of business representation, Justin assists clients with entity formation and provides guidance in areas ranging from contract negotiations to employment and labor disputes. He also assists clients with matters involving municipal governments, including representation at proceedings before zoning hearing boards. Justin is a 2001 graduate of the University of Pittsburgh having earned a degree in Business Administration with a focus in finance. He earned his J.D. from the Duquesne University School of Law and was the Comment Editor of the Duquesne Business Law Journal. Justin is admitted to practice in Pennsylvania, the U.S. District Court for the Western District of Pennsylvania, and the U.S. Court of Appeals for the Third Circuit.